Tom Cook has been a member of the community in Covent Garden since the end of the seventies. Originally from New York, he, his wife, and children came to Covent Garden via Australia and New Zealand. When they first arrived in London, they rented an office above the carpet shop in Great Queen Street but lived in ‘fashionable Ba-TER-seeah’. Wanting the family living nearer to their work, they moved first to a flat above the office and later to a new GLC home on Shelton Street. 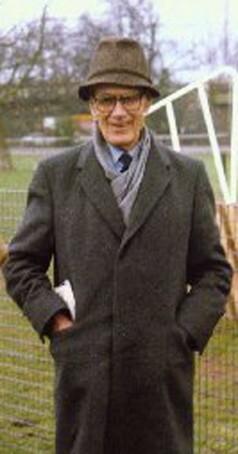 His children attended St. Clement Danes, ‘a fabulous school’. Tom’s involvement with the community has been active and he was vice chair of the Covent Garden Community Association (CGCA) in 1982 at the time when Grace Cook (no relation!) was chair. He saw his duties as keeping the issues surrounding housing and commercial development alive and supporting Grace. 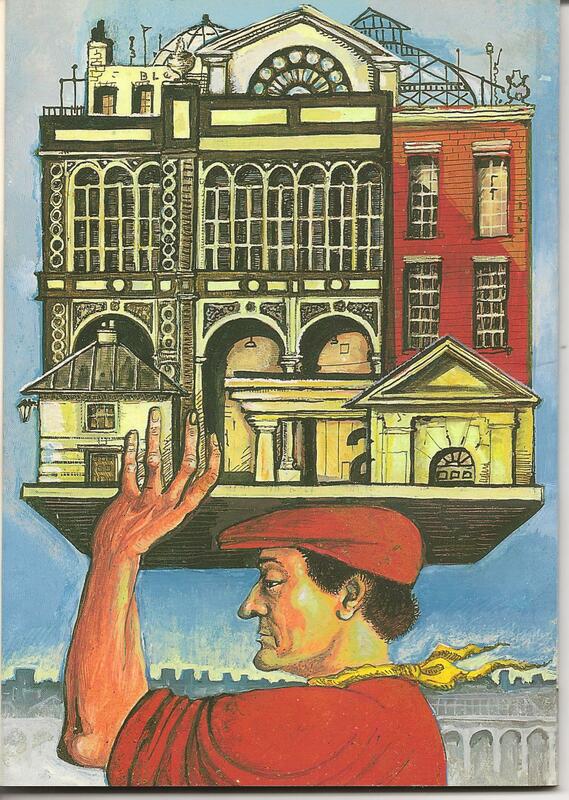 Tom was also involved with the Covent Garden Area Trust, and continues to be involved with a Covent Garden housing cooperative that evolved from a tenants’ association. Perhaps all this has kept him young; you would never know he had just turned 76 - but if you want to know the truth, ask his knees! Interviewing Tom gave me a strong sense that communities are affected by what is on their doorstep. In Tom’s view, at the end of the seventies and the early eighties Covent Garden was much quieter and a much more pleasant place to live. Neal Street wasn’t even cobblestone in those days and there was ‘a very different kind of atmosphere then’. There was Neal Street East, ‘one of the funkiest shops in all of London’. It was two or three floors and was like a department store, full of crafts, oriental objects and strange things. ‘It was lovely, absolutely beautiful, a fantastic gift shop’. There were a lot of funky shops. One only sold pen nibs. The famous illustrators and cartoonists of the day all bought the nibs for their art pens from there. The owner was ‘a lovely old man who was there for who knows how many years’ and then one day, at the end of the rent review, his rent rose so much that he was forced out. This is the kind of thing Tom and the CGCA were fighting. There was a shop also on Drury Lane which didn't sell anything newer than 600AD and was like a museum shop: a bric-a-brac sort of place with lots of little things, broken bits of pottery and other bits and pieces. Some items were quite expensive. ‘You just took it for granted it was there’, and, again, it got pushed out. Now Tom finds that almost every interesting shop in Covent Garden has been replaced by shoe shops. ‘If you like buying shoes...if you’re into fashion...it’s all interesting, but ultimately it's boring for me’; Tom liked having pen nib shops. ‘Something quirky has been lost’. 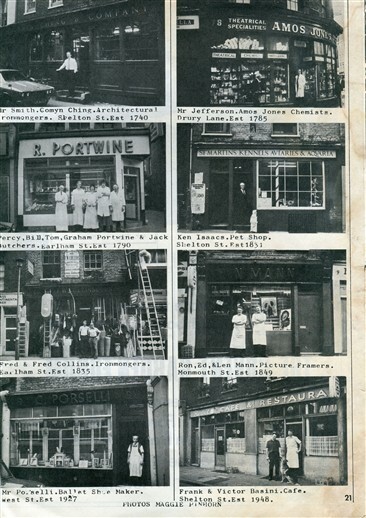 Everyday shopping wasn’t simply one-stop supermarkets such as those we have today. There was a greengrocer and a fishmonger on Tom’s doorstep. One of the things Tom misses most is his fishmonger. They were in the same building and got to know him. At the end of the week he would give them salmon tails. For a pound or so you'd get five salmon tails and then you'd take the meat out and make a salad. The Seven Dials Club has changed too. It used to be down on the floor at ground level, a couple of buildings up from where it is now. It was partially below the pavement so you could look down into it and see in. It was a very active and, because it was just fifty yards from his front door, Tom went every other night. You could see everybody from the community. Of course you came out smelling of smoke in those days. It was like a working class club in a way but it was open to anybody who lived in the area. They had board games, quizzes, and dancing. It was very alive. And then, in 1999, the whole building was gutted by a fire, a huge fire. Tom remembers cinders as big as your hand landing in his courtyard. Sadly, since the restoration many people who went to the old club grew old and aren’t there anymore. However, Tom finds it’s still pretty active in certain ways. Talking to Tom made it clear that the CGCA still has much to fight: rents are high; there is a certain amount of anti-social behaviour - drunkenness - ‘simply because people don't know Covent Garden is a place where people live’; and, although the community have good links with the police, there is a drug problem in the area. Tom didn’t want to over-state the problems, but neither did he want to under-state them, and he smiled when he told me the story of somebody who had somehow got into his building and gone around where you dump the rubbish and left ‘a rather large deposit’. However, this, and bottles being thrown at his building or people thinking it’s funny to buzz his flat’s buzzer are clearly frustrating. He also hopes that, whilst ‘there’s nothing wrong with money, as such’, the wealthy people moving into the area ‘realise that if it just became a rich person's enclave, actually it would probably lose its qualities’. I asked Tom if he and his wife had ever been tempted to move away. ‘Oh, no no no.’ The atmosphere in the Seven Dials Club on the night of the interviews, the fact that Tom and so many like him wanted to share their memories, suggested to me why not. 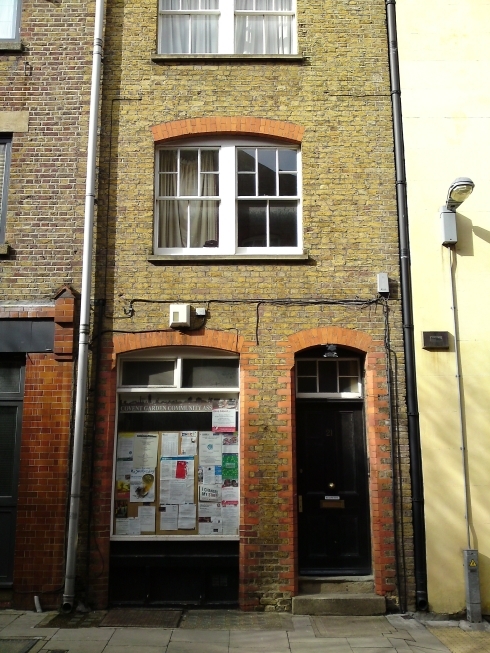 I used to LOVE Neal Street East - I bought SO many books from that shop being an avid Go player and, as I remember it, it used to have a kind of a basement with furniture in also. The staff were wonderful and you could browse for hours in there with no one bothering you. You could practically stand there and READ the books! I always ended up buying other things than the thing I'd gone in for too as it really was a Pandora's Box of little pleasures. I am so sad to find that the shop no longer exists as it truly was a very special place.